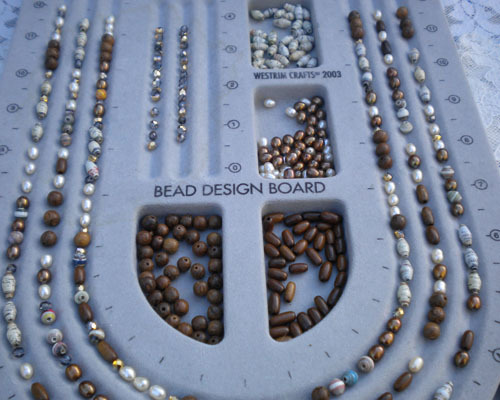 I love the shape of the Olive shaped Paper Beads and the neutral colors of this particular strands, it is such a lovely match for the olive shaped wood beads and the seed pearls. I saw something similar on a popular tv show worn by supposedly the wife of a prime minister. 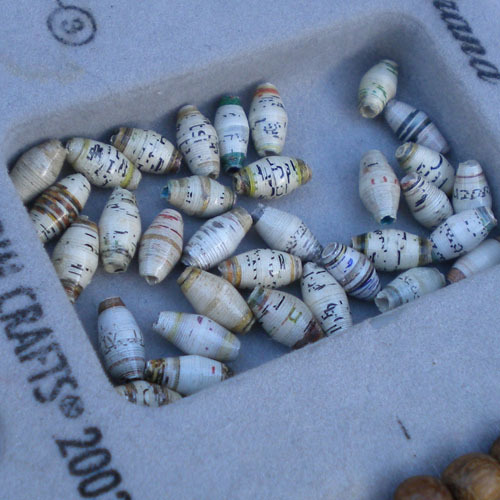 This, I think is even more special because I added paper beads into the mix. 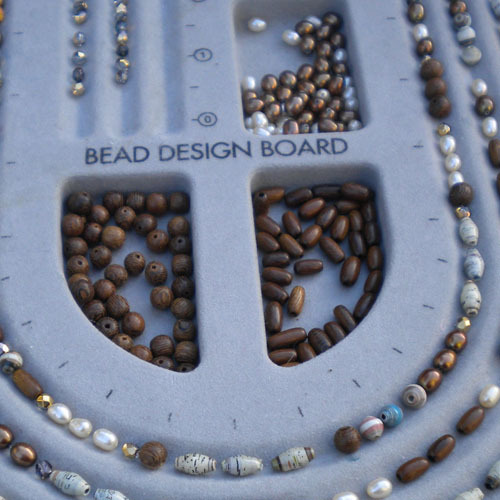 Combine it with the Brown and Champagne color Seed Pearls for a three strand necklace. I used Softflex in bronze color medium. 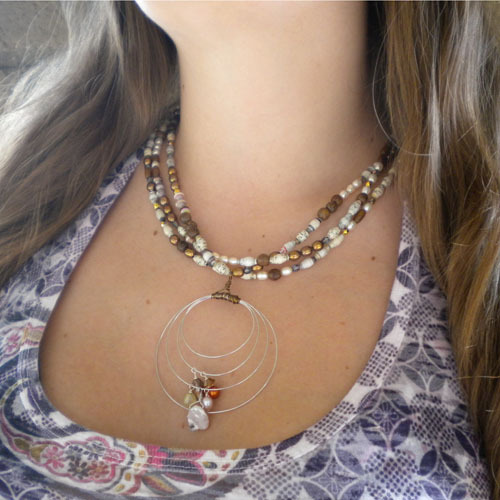 I fashioned the pendant out of 22 gauge wire and embellished it with pearls and crystal charms. Is it fit for a wife of a Prime Minister? I don’t know. I would certainly wear it, with anything casual or dressy. 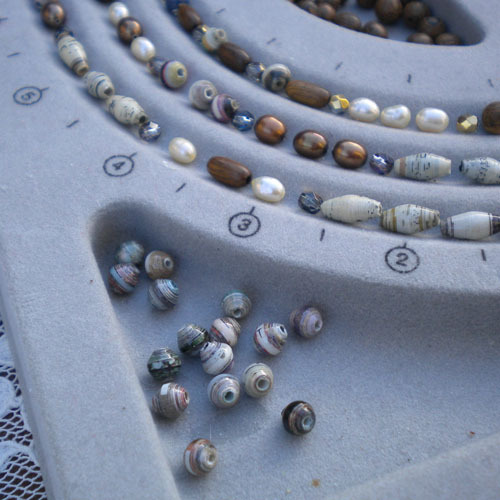 I hope I have inspired you today, to make something with paper beads. 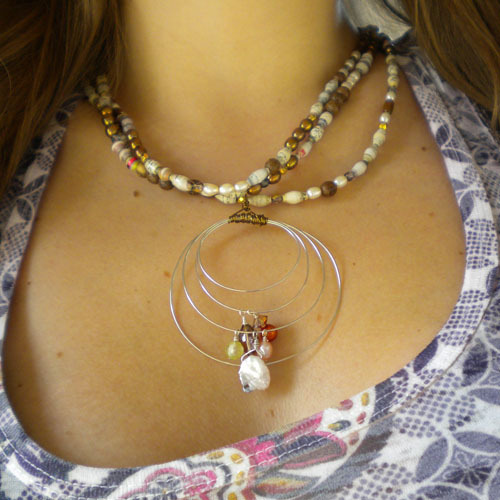 I particularly like the Pendant on this one its lovely, also the combination of rice pearls and paper beads go well together.